Jean A. Repinski, 86, of West Norport Drive, Port Washington passed away peacefully at her home with her family by her side on Friday, April 19, 2013. 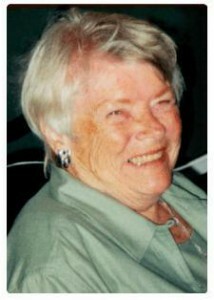 She was born on June 11, 1926, daughter of Donald and Gertrude Maroney Martens in Blue Island, IL. She grew up in Milwaukee, graduate of Messmer High school, class of 1944. On August 16, 1947, Jean married John R. Repinski of Milwaukee at St. Sebastian Catholic Church in West Allis. In 1954, the family moved to Port Washington when John took a job with the Wisconsin Electric Company, Port Washington Power Plant. Formerly of Stanford Street for many years, Jean and John raised their family. After the children had grown, Jean worked at the Port Washington High School cafeteria, Port Foods grocery store and Bolens Mfg Co. in Port Washington. After John retired, they moved to Three Lake for a few years. They later returned to Port Washington. John preceded her in death on January 27, 1997. She is survived by her children Larry (Alice) Repinski of West Bend, Bob Repinski of Duluth, MN, Karen (Bob) Norman of Port Washington, Judy (Bob) Wheaton of Port Washington, Margina Repinski of Port Washington, Jan (Rick) Peiffer of Port Washington and Mary Jo (Frank) Tarantino of West Bend, 13 grandchildren, 13 great-grandchildren, three sisters Lois Sigrist of Elm Grove, Marge Nelson of Pewaukee and Joan Diebert of Fond du Lac, other relatives and many friends. Her Funeral Mass will be celebrated at 6PM Thursday, April 25, 2013 at St. Mary Catholic Church, 430 N. Johnson Street, Port Washington. Reverend Patrick Wendt will be the celebrant. Visitation will be from 4-6PM Thursday AT CHURCH. Interment will take place at St. Mary’s Catholic Cemetery, Port Washington. Memorials to donor charity of choice are appreciated.